It’s important to understand the demographics of an area to ensure proper political representation. In 2010, the US Census Bureau and the California Endowment enlisted the help of DHF to reach out to “hard to count” residents. Vecinos Unidos along with DHF staff and volunteers went door to door encouraging residents to fill out their Census forms. 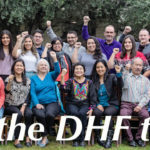 DHF hosted 15 community presentations, trained 200 volunteers (from Vecinos Unidos and Spring Break Students), and knocked on 3,000 doors in one day. The Vecinos assisted 1,000 families with Census questionnaires throughout the campaign. 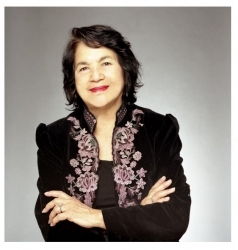 In addition, President Huerta did a speaking tour in Oregon and Washington targeting Latino Communities and encouraging them to participate in the Census. She also recorded Public Service Announcements. In collaboration with MALDEF, DHF organized public workshops to educate local communities of color about the impact of redistricting and trained individuals to provide input to the California State Citizens Redistricting Commission. Working with data from the 2010 Census, DHF seeks fair representation of our congressional, state, county, and school districts.